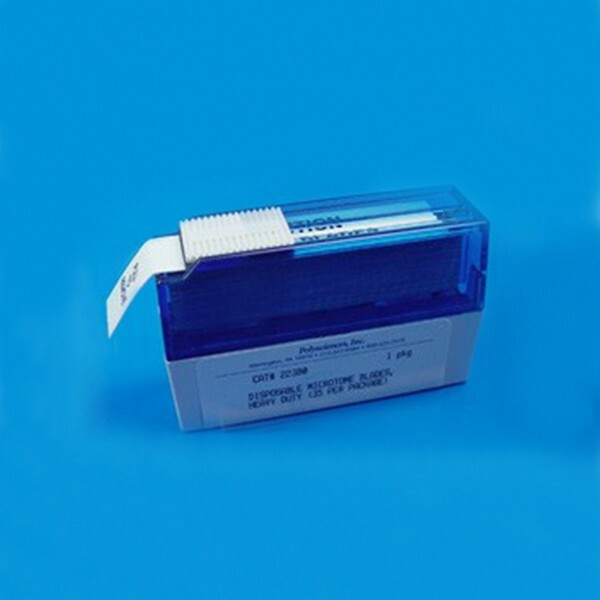 Mictrotome Blades, Disposable - Heavy Duty | Polysciences, Inc.
Shur/Sharp blades represent the ultimate in technology. Chatterless & compression-free ribbons will become routine for all types of tissue. For use with AO or other high profile blade holders. We offer several choices of disposable blades to meet all your sectioning needs. Heavy Duty.